We will engineer a temperature-controlled kill switch to be used in pathogenic or genetically modified bacteria as a safety precaution in lab settings. The switch design incorporates holin/antiholin lysis controlled by a temperature dependent repressible system. The system is designed to initiate lysis if temperature falls below 34C for a prolonged length of time. For this project, we will construct the kill switch in E. coli as a proof of concept for our bacteria containment system. Our project was initially inspired by the library of tunable temperature-sensitive promoters reported in "Tunable thermal bioswitches for in vivo control of microbial therapeutics" by Piraner and Abedi et al in 2016. Other iGEM teams in the past have attempted to develop kill-switches, but all depended on giving some chemical treatment to the bacteria in order to trigger self destruction. This is difficult to apply in real life, since in most situations where a kill switch is needed one has lost control of the bacteria, and are unable to deliver the triggering chemical treatment. Our solution to this is to use temperature itself as a trigger for the self-lysis mechanism. When bacteria with our proposed plasmid 'escape' the lab environment, they will die. Our goal is to create a plasmid that could be used as an additional safety precaution when working in laboratory environments with dangerous pathogenic bacteria. While we are developing our construct in E. coli as a proof of concept, we envision the final product being used in species such as S. aureus that can be antibiotic resistant and are known to be susceptible to the holin/endolysin system our switch employs. For example, suppose that a team of researchers was conducting a study that was testing the effectiveness of several new chemical compounds to kill methicillin-resistant Staphylococcus aureus (MRSA). Feasibly, if improperly disposed of or tracked out by a researcher, these bacteria could escape into the outside environment and cause infection among civilians. Our goal is to design, characterize, and optimize a temperature-controlled kill switch. Our switch relies on a temperature dependent repressor system to selectively express the antiholin enzyme within a narrow range of temperatures centered at 37C to correspond with typical lab conditions when working with bacteria. When the cell is outside this range for an extended period of time, antiholin is repressed leaving the holin and endolysin enzymes free to lyse the cell. This way if the bacteria 'escapes' it will die. Our first step is to successfully assemble our designed plasmid, then we will test it and redesign it as needed. Our budget is best divided into three categories: project specific, lab operations, and iGEM. Our project this year is primarily cloning based, with the majority of our budget going towards supplies critical to the assembly of our construct. This includes enzymes, PCR reagents, Gibson Assembly kits, and high efficiency cloning cells. Another segment of our budget will go to sequence confirmation of our construct during assembly and of the final project. Another chunk of our budget goes toward operating our lab, paying for things like glass and plasticware, micro pipets, etc. Lastly, some of our budget goes to funding our entry into the iGEM competition itself, the main purpose of MSBT. The cost of going from an idea to its implementation as a project worthy of presentation at the iGEM conference is high, and we are a self-funded team of undergraduates researchers. Without your support, our goal would be impossible. This is a clever project utilizing the holin-endolysin interaction to potentially limit bacterial spread. This works builds creatively on published and validated studies, and the experimental design is sound. The UM Synthetic Biology team possesses the laboratory experience and drive to significantly advance this project, and I endorse their enthusiastic efforts. We need to have our project done by the iGEM competition's wiki freeze deadline at the end of September. The cloning process started in mid-May will continue through the summer until we isolated our construct. We anticipate that this will be complete in late July or early August. Following isolation and verification of the construct, we will then characterize the functionality of our plasmid and explore methods to incorporate the plasmid in a stable cell line. Present our research at iGEM 2017! Our team is comprised of a diverse group of students with wide ranging skill sets. We have members from science majors such as biomedical engineering, molecular biology, and chemical engineering. Each year, we engineer a genetic construct for the International Genetically Engineered Machine (iGEM) competition. Our innovation is driven by the dedication of our team to see the project through. This year, we are working on genetically modified E. coli. Aaron Renberg is an enthusiastic masters student. 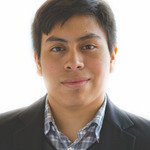 He has previous research experience interning at the National Institutes of Health in Bethesda, MD and at Children’s National Medical Center’s genetic medicine department in Washington, D.C. He published an Honors Thesis based on his work in the Soleimanpour lab at the Brehm Center for Diabetes Research at U of M. When a micropipet isn’t in his hand, it's usually replaced by a hockey stick. Alex Hadd is in his third year of study for a Chemical Engineering BSE with a minor in computer science and a concentration in the life sciences. He conducted developmental biology and biophysics research under Dr. Qiong Yang from September 2015 to May 2017. He is currently performing research in natural products chemistry and structural biology under Dr. David Sherman, investigating the structure and biocatalysis of polyketide synthase mega-enzymes via molecular cloning, protein engineering, and cryo-electron microscopy. Paulina Czarnecki is a sophomore planning on double majoring in Mathematics and Neuroscience. She helps with research in a Biophysics lab under Dr. Zochowski, studying neural networks computationally and experimentally. She hopes to pursue a PhD. On the rare occasion she's not busy with academics, she enjoys running or playing the piano. An advanced fellow in the Barger Leadership Institute, and studying Cellular & Molecular biology and Biomedical Engineering, Rachel Sun hopes to continue to work on pharmaceutical development after graduation. She has worked on possible applications of nanoemulsions as a vaccine adjuvant, and has developed a reporter system to study antisense oligonucleotide-based medications effects on Cystic Fibrosis. 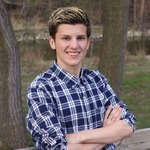 Nick Emery is a student at the University of Michigan studying Cell and Molecular Biology and Biomedical Engineering. Working towards cheaper, easier detection of protein biomarkers to improve disease diagnostics in developing countries and resource scarce settings. Also working in the lab of Dr. Allen Liu in the Department of Biomedical Engineering at University of Michigan. 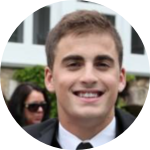 Mario Russo is a rising senior studying biomedical engineering and hopes to pursue a career in surgical medicine. He currently performs aortic disease pathology research under Dr. Bo Yang. In his free time, Mario likes to go trail running and play tennis. Matthew Fischer is a senior majoring in Cellular and Molecular Biology. He is currently researching epigenetics in the Pathology Department of the Medical Campus under Dr. Dou. He hopes to pursue an MD. In his free time he enjoys runs in the park and reading about science. Robin Pearce is a researcher for the El Naqa Group in the Radiation Oncology Department. He is currently developing novel imaging techniques to be used during radiation therapy. In the future, he plans to pursue a PhD in biomedical engineering or a related field. 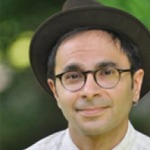 I am an Ecology, Evolution, and Biodiversity major at the University of Michigan. I value the diversity of ideas that stem from this team and the ways it challenges me to think on a different scale then I do in my usual studies. I am passionate about the environment and the conservation of biological diversity. For these reasons I have goals of attending law school in the future with a focus on environmental law. Zach Bernstein is a junior majoring in Neuroscience and pursuing two minors in Business and Chinese Language and Culture. He spends a lot of his time conducting research in the Jenkins Lab of the Pharmacology Department, which investigates the genetic and cellular mechanisms that underlie complex neuropsychiatric diseases, namely Bipolar Disorder and Schizophrenia. He hopes to go to Medical School and spend his career innovating science, treating patients, and impacting healthcare. Zach loves to play basketball and make music. 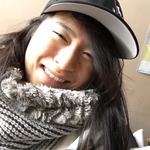 Akira Nishii is a sophomore studying chemical engineering and biochemistry at the University of Michigan. He strives to become a physician-scientist (MD/PhD) in the "near" future. Along with MSBT, he plans to conduct research on cancer immunotherapy of brain tumors (glioma) under Dr. Maria Castro and Dr. Pedro Lowenstein of the Department of Neurosurgery. Maggie Braunreuther is a junior majoring in Chemical Engineering. She works in the Eniola Lab researching cell adhesion and drug delivery. Specifically, she investigates binding of vascular targeted drug carriers and their efficacy as a drug delivery method. Outside of the lab, she enjoys reading, good food, and traveling. 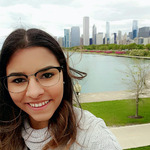 Cristina Castillo is a recent graduate from the University of Michigan in Cell and Molecular Biology. She has been part of MSBT for three years now and is currently an advisor for the team. She is also a research assistant in a physiology lab on campus. She studies the effects of hypoxia in cancer. She plan to continue my career as a scientist doing an MD/PhD program. Erin Kokoszka is a rising senior. She is studying Neuroscience and is planning on attending medical school. In the past she has worked in a biopsychology lab, investigating the mechanism and motivation for feeding in rats. 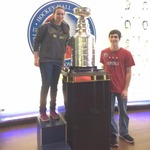 She enjoys playing intramural sports and doing environmental service work in her free time. Daniela Lewin is a junior in the Molecular Biology and Biomedical Engineering joint program at the University of Michigan. She is currently researching chemokines and receptors involved in breast cancer metastasis. Her other interests include dance, books and Latin American studies. 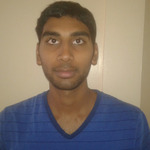 Vijay Vobbilisetty is a third year Biomedical Engineering student at the University of Michigan. He is currently researching the genetic factors behind the development of aortic aneurysms and developing preventative therapies in the Department of Cardiac Surgery. Vijay has many varying interests, from discussing international policy on human rights as an ardent Model UN competitor to optimizing infrastructure at local nonprofit clinics. Ashwin Kumar is a third-year student at the University of Michigan studying Biomedical Engineering with a biochemical concentration. He is involved with computational biology research, working under Dr. Sriram Chandrasekaran in the BME department. Alex Girgis, a rising junior from Grand Rapids, is majoring in Biomedical Engineering with a biochemical concentration. Ultimately he will pursue a career in medicine. He currently conducts research in the Department of Surgery studying Pancreatic Cancer Immunotherapy under Timothy Frankel. 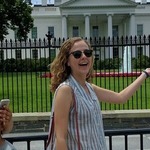 Charlotte Blumrosen is a senior from Paris, France studying Cell and Molecular Biology with a minor in Medical Anthropology at the University of Michigan. She is currently studying Pulmonary Hypertension with the Michigan Clinical Outcome Research and Reporting Program. She is also currently applying to medical school in the hopes of becoming a surgeon. 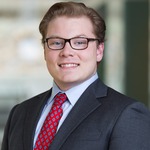 Caleb Kaczmarek is a junior in the University of Michigan's Cellular and Molecular Biology and Biomedical Engineering program. As a member of Dr. Qiong Yang's lab in the Biophysics Department, he helps in research focused on kinases and embryonic development. 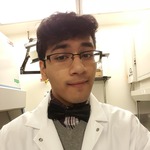 Naveen Jasti is a senior majoring in Cellular and Molecular Biology. He enjoys volunteering and conducting research on mobile elements in the human genome, and hopes to pursue an MD-PhD. On weekends and during evenings, he often gets lost in a book or plays pick up soccer. Our lab at the University of Michigan is comprised of a diverse group of students with wide ranging skill sets and interests. We have members from all types of science majors such as biomedical engineering, cellular and molecular biology, and chemical engineering. Our knowledge is put to the test each year at the International Genetically Engineered Machine (iGEM) competition, an annual contest where student-led teams from around the world present research projects based around the creation of novel genetic constructs. In years prior, the team has pursued projects based around This year, our goal is to engineer a strain of E. coli that have a temperature dependent genetic kill-switch that activates when the organism is exposed to temperatures outside of a predetermined range. Our research relies heavily on crowdsourcing campaigns like this one.